McDonald’s, man. The most simple form of dining there is. Walk in, order a Big Mac, soda, fries, and wait for them to call your number. McDonald’s has had this system down since 1955 when it was born in Des Plaines, Illinois and they haven’t looked back since. Well, not until now. The mega fast food chain has begun to roll out self -serve kiosks and table-side delivery in hundreds of locations across the country. I first experienced this at the McDonald’s in Norwalk a few weeks ago, and let me tell you it was not my cup of tea. I walked in with a few friends and was immediately greeted by two “greeters” that offered us a chance to order our food on their new digital kiosk. The place was empty, it was cold and snowy, and I was really hungry, so the last thing I wanted to do was mess around on some glorified iPad and order my food. But hey, I’m a nice guy so I wasn’t just going to say no to the really polite guy at McDonald’s. I went over to the screen and tapped my way through my order. I wouldn’t say it was extremely slow, but it would have been a lot faster had I just ordered the old fashion way. The McDonald’s location was under renovation to develop its new modern features. It’s hard to argue with Triano here. McDonald’s has dominated the fast food game for decades by doing basically the same thing. Although the kiosks are a step forward in the technology department, they seem to me like a possible monkey wrench being thrown into a beautifully simple format. 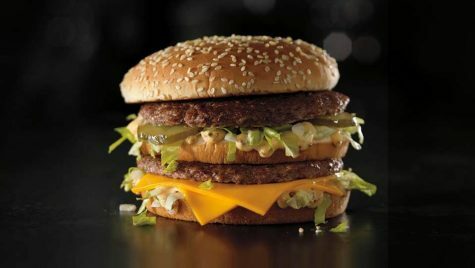 A Big Mac, about as simple and delicious as it gets. Why confuse things? Some make the argument that McDonald’s is simply trying to stay one step ahead of fast food chains of the future such as Chick Fil A. The restaurant’s popularity has been growing immensely, as there was one put in the new Mercedes Benz Stadium in Atlanta, Georgia, along with one closer to home for us in Norwalk (as Henry Rech discussed in his article, http://neirad.org/1829/pop-culture/chick-fil-a-is-it-worth-the-wait/ ). While Chick Fil A’s popularity has grown mainly because of its’ delicious food, it’s fantastic customer service should be considered as well. The cashiers are always very friendly and they always bring the food out to you while also giving off a fast food vibe. Chick Fil A has a long way to go before they’re on McDonald’s level as a worldwide franchise, but could McDonald’s be taking steps in the customer service department to make sure that Chick Fil A doesn’t come close to catching up with them? I definitely agree with Dennis that McDonald’s should just keep doing their thing and keep selling hamburgers the old fashioned way, but for some reason they’re not taking my advice. One point that I haven’t discussed yet is the amount of jobs that the kiosks will take away, specifically cashiers. 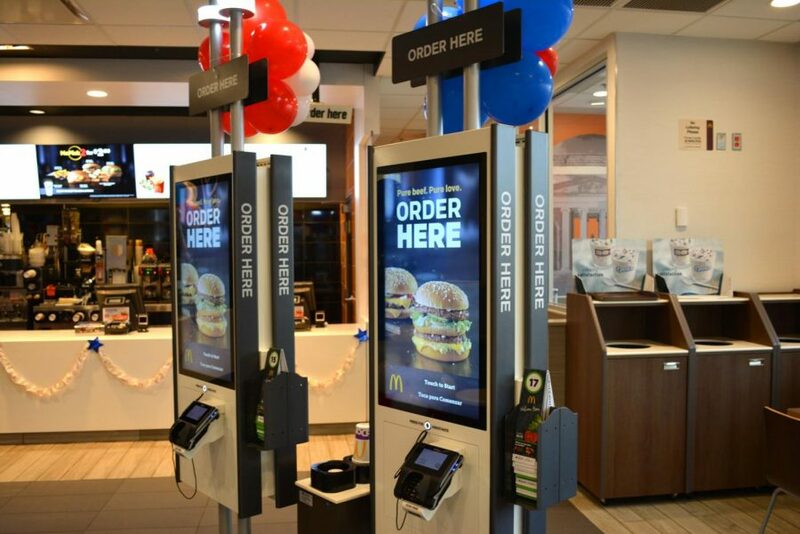 Business Insider reported that “…McDonald’s will replace cashiers in 2,500 stores with self-service kiosks.” The website went on to report that the restaurant shot down these rumors, but it’s hard to imagine that no one will be fired if they follow through on the kiosk system. Not only will this new technology be frustrating for customers, but it will likely take away a lot of jobs for many people.